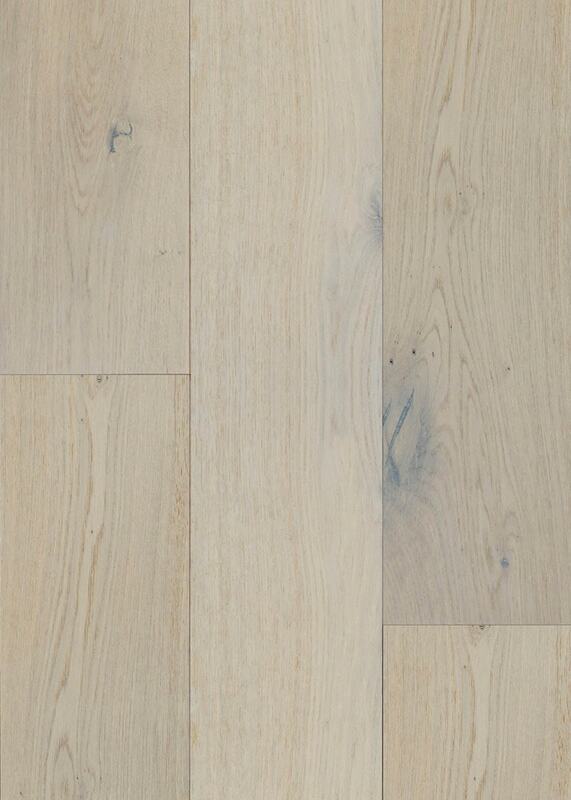 This HANDWERX Engineered Wire Brushed Wide Plank Hardwood Flooring Collection features French White Oak with a stunning Wire Brushed Surface Texture and a Sawn Face 4mm Character Grade veneer. This collection is available in nine (9) gorgeous colors that are coated with eight (8) layers of Trumpp Anti-Scratch High Performance Urethane finish for best in class durability and protection from every day wear and tear. Easy to clean and easy to maintain, this low gloss (7%+-2 Gloss Level) matte finish is ideal for residential applications on, above or below grade. This product is manufactured in Thailand and is Lacey Act Compliant. This entire collection is available exclusively at builddirect.com! Stylish, High Fashion flooring with gorgeous color options to suit any home décor. Plank Dimensions: 5/8"" Thickness x 7.5"" Width x 15""- 71"" Random Lengths (Average Length: 50""+) with 4-sided microbevel edges & ends.